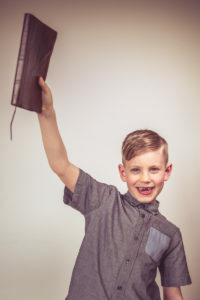 Liberty Baptist Church, as a Special Religious Education (SRE) provider, is committed to providing a safe and happy environment in every SRE class taught by our dedicated volunteers. 1. They have undertaken ‘Working With Children’ screening and have received their WWCC clearance authorisation. 2. They have been formally trained to teach SRE in public schools and are committed to ongoing training in both classroom management and child protection. 3. They are committed to teach the approved curriculums. Jesus Christ’s Life in Pictures – libertybaptistchurch.com.au/books/#JesusLifeInPictures – which is a book of artwork on Bible themes and provides a visual resource for teachers. Teachers may select to use them if tied in with the curriculum lesson. As an approved provider, we expect our teachers to maintain the highest level of professionalism in any conflict resolution process.